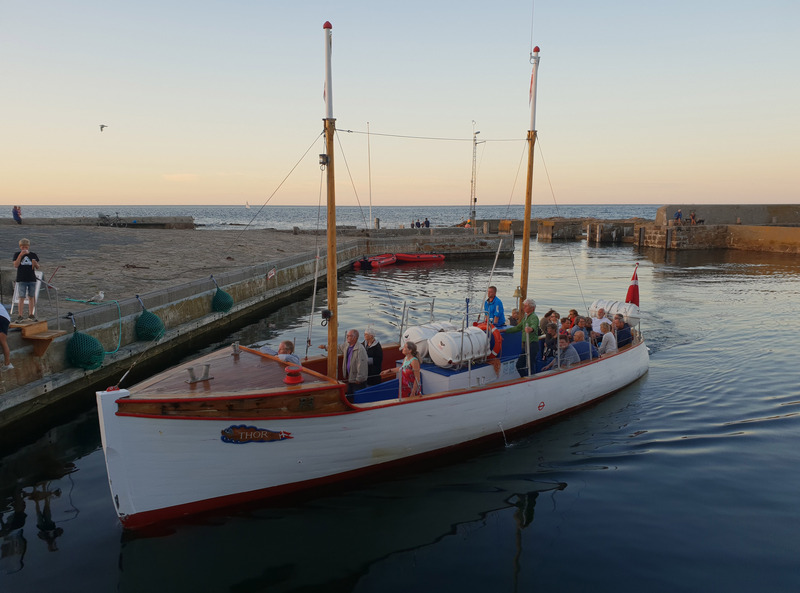 Experience the beautiful Bornholm coastline and Helligdomsklipperne from the sea side aboard the old wooden ship M/S Thor, which has sailed along the coast for more than 100 years. 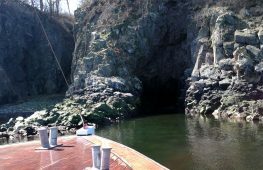 A boat trip with the historic passenger boat M/S Thor from Gudhjem Harbor along the rocky coast to Helligdomsklipperne is a great experience and very suitable for a cozy family excursion with both young and older children as well as active elderly and pensioners. M/S Thor berths at Liebertsklippen below the Bornholm Art Museum, where we land and pick up passengers before sailing back to Gudhjem. Guided experiences and Viking stories. During the boat trip from Gudhjem to Helligdomsklipperne the skipper will tell you about the sights as well as legendary stories from the Viking Age. 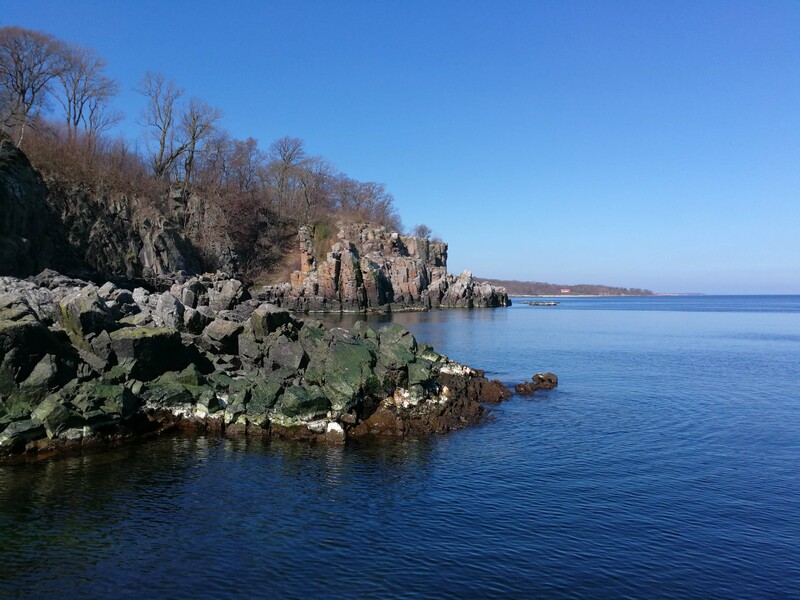 During the boat trip you will experience a part of the unique Bornholm nature, including Hestestenene, Blod Egil, Stevelen, Røstad beach etc. M/S Thor sails close to the steep cliffs at Helligdommen, such as Den Tørre Ovn, Den Våde Ovn, Lyseklippen, Helligdomsklippen, Sorte Gryde and other places and formations of interest. In the distance we will pass a collection of ancient graves on the beach and a couple of impressive glacial stone blocks on the water’s edge originating from the Ice Age, including one of Denmark’s largest at Salene beach. 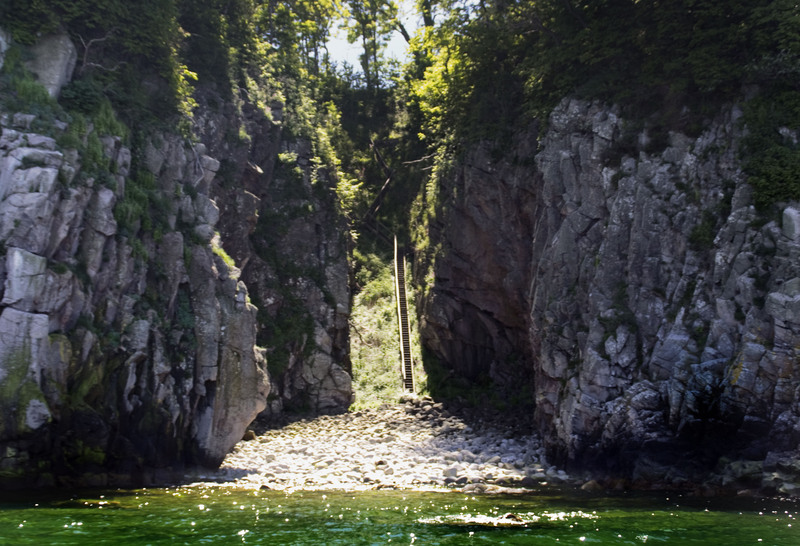 MHelligdomsklipperne are one of the most beautiful inspirational places for the Bornholm art painters, and therefore an often-used motif among art painters with historical connections to Bornholm. Among others the art painters Vilhelm Kyhn and Skagen painter Michael Ancher painted here. The art painters Otto Haslund, Karl Isakson and especially Oluf Høst painted several motives from Gudhjem. When sailing to Gudhjem you will see the very popular motif Bokul from the sea side. Quite often you will also see art painter Kasper Køie painting one of his favorite motives at Nørresand. 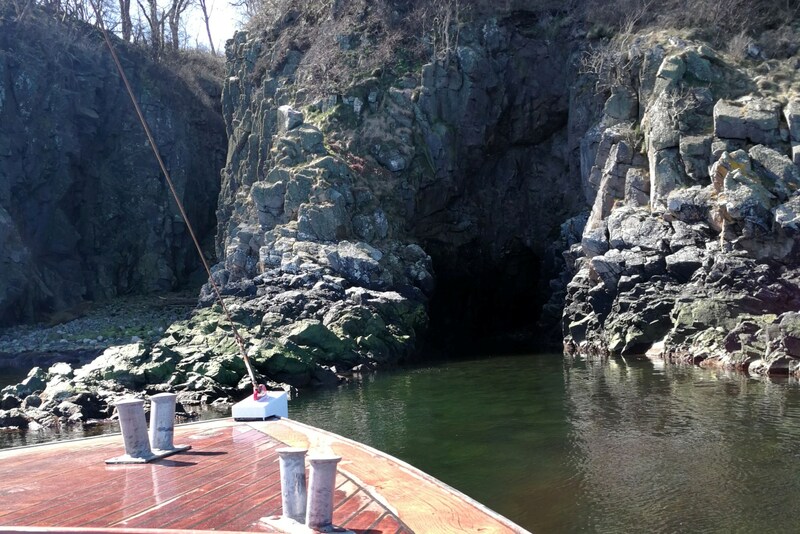 Many people take a round trip, but you can also sail one way and walk the other way along the Bornholm coastal trail. During the walk along the coast you may take a break at Dines Lille Maritime Café overlooking the Baltic Sea to Christiansø and Gudhjem. 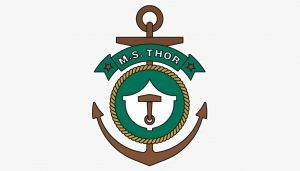 Please book by email booking@ms-thor.dk or SMS +4523835165 stating the desired departure time and number of people and await our confirmation of your reservation. We have departures every day from April 18. until October 18. Below is a list of events by the same organizer that you can attend.